METAL PULP AND PAPER: Hello Richie. Thank you for taking the time to answer some questions for Metal Pulp And Paper. We appreciate it. How is everyone so far? Is 2018 off to a good start for The Stars Revolt? RICHIE RAY: Oh yes. It's been a great year so far and we hope it just gets better. MPAP: Let’s get to know a little more about your band before we talk about your new self-titled release coming out on Red Theory Records? You are a four-piece melodic rock band based out of Louisville, Kentucky that has even been compared to the likes of bands like the Foo Fighters and even The Used? So, tell everyone just a little bit more, give everyone a bit more of a taste. 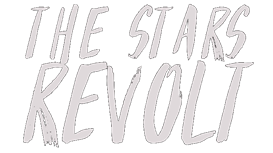 The floor is yours, what does everyone need to know more about The Stars Revolt band? RICHIE: We are just a straight up rock band. Driving guitars and catchy hooks. We're kind of a weird mix of modern radio rock and the 2000's emo sound. We're also pretty nice guys and we help old ladies cross the street. MPAP: Before we get into your new release, let’s dive head first into your new single called, "Be Careful What You Wish For"? This song has quickly gained some attention on the social media. How is that making you feel? RICHIE: We couldn't be more excited. Anytime you release anything, there is always the possibility that people won't like it. And while that's not our reason for doing it, it feels great that people do. We've been blown away by the response we've gotten so far. MPAP: So, it’s a song about dealing with loss, but there’s more to it than that, right? Take us a little bit deeper into what the song is about? Let’s peel back the skin and go deep inside of what it really means? In a way, spill your guts for us? RICHIE: It's sort of a mix between several situations of mine and some close friends. Personally, for me and the situation, it deals with divorce. But I've been told by several people how they related in different way, and I find that to be incredible. MPAP: Putting aside with what you just said, let’s go even deeper below it all. Is there a personal message behind the song? Is it from personal experience? RICHIE: Partially. More so about something a friend of mine was going through and writing from their perspective. It's a mix though really. I have an odd style of writing though. MPAP: Now on to the big news, let’s talk about your self-titled debut EP? It can be found where ever music is sold on May 18th, 2018, and of course by the time everyone is reading this, it’s already hit the streets and invaded the eardrums of many. Now that it’s out, can you relax for a moment? RICHIE: Believe it or not, it's more hectic now. First week numbers mean a lot in this industry, so we are hitting it hard. (Also, this is a hint to go pick up the EP.) We are all very driven, so we don't plan on relaxing anytime soon. MPAP: Before the release has even been purchased, what are you hoping the listener will hear that will draw them in and want more from you and your band, that will then initially make them want to purchase your new music? RICHIE: I'm just hoping the songs make them feel. To connect on a personal level. To me, that's the most important thing a song can do. MPAP: It’s tough in the music industry these days for any band. It’s hard to make money, keep a record deal, and basically just survive. Are there any expectations that you might have to keep it all going? RICHIE: Hard work and more hard work. Also, hopefully a bit of luck. Nothing comes easy (or cheap) in this business, especially if you do it the right way. MPAP: Moving forward, now that the fan, or better yet, the fans, now that they have heard your music, what can they expect when they see you perform live for the first time? RICHIE: A good time. We put our all into it every night to deliver the best show possible. MPAP: Before we bring this interview to a close, just a few more questions to round things out. Multi-date Festivals are just about extinct these days. At one point there was Ozzfest, Vans Warped Tour, Uproar, Taste Of Chaos, and Mayhem Fest over the past decade plus or so? Now in 2018, after 23 years, this will be the last year for the Vans Warped Tour. What are your thoughts on this? Do you think it will affect anything in the long term? RICHIE: Maybe. I mean I suppose the market is shifting. I believe Warped Tour will turn into a select date festival, like Lollapalooza. But Warped helped build bands, which was great. The very first tour I ever did with Shindig was Warped, so it holds a special place in my heart. I just hope the market demands something new to take its place. MPAP: In your opinion, what might be ruining it for new up and coming bands, or for that matter, any bands out there trying to get into the music scene or stay in the music scene? RICHIE: Lack of all ages venues. It's hard for younger scenes to thrive with nowhere to play. MPAP: With it being a tough uphill battle, what makes you keep moving forward? Is there a goal or a prize at the end of the line? RICHIE: There might be. But then again, there might not. We do it because we love it. It's just a great time and we get to meet some awesome people doing it. MPAP: Now that we’ve gotten to know you a little better, what do you think needs to come back to the music industry that’s been missing for a while? RICHIE: Work ethic. Social media has had a positive and negative influence. Everyone's just so jaded now. It's that social interaction that builds fan bases and you just can't get that online. MPAP: It ended up being fake news, and going viral on the social media, but Apple announced that there would be no more iTunes by early 2019. If this had ended up being true, what would you have done to make sure somehow, someway your music was getting out to everyone? What do you think you would have done? RICHIE: I think physical media is on an upswing. There's always going to be something new, so when iTunes finally does go, there will be a new format to take its place. MPAP: In the next world, or maybe in the next lifetime, let’s say you’re going to start a band again. You’re going to start a band from scratch. With your experience with what you know now, is there something you would do less of, or is there something you would do more of at the end of the day? RICHIE: That's exactly what this band is, for me at least. When Shindig broke up in 2009, I was done performing and playing my own stuff. I've spent the last 9 years writing for and producing other artists. I learned a lot of what not to do over the years and The Stars Revolt is putting that to use. MPAP: Last question and this may be a tough one, but would you ever move to another country if it meant your band, and your music would be heard more over there? RICHIE: I would say so. When you're touring all the time, home is just a place to go on your off days. So, I'd say yes to that. MPAP: On behalf of myself and Metal Pulp And Paper, I’d like to thank you, Richie, for taking the time to be a part of this interview. We look forward to what The Stars Revolt does for the rest of 2018 and beyond. Any last words for all the readers, and especially all your fans out there? RICHIE: Thanks for having us! I'd recommend picking up the album, for sure. Tell some friends. Go to some shows. Support local music. Do all of those.